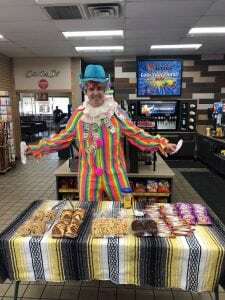 Stop by Love’s Travel Stops! 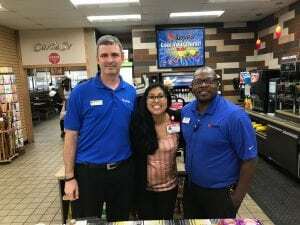 September 06, 2018 | By Fatima V.
Kirk Johnson, Love’s Travel Stops District Manager, got dressed up for a cause at the local Love’s in Dallas off Polk and 20. Store GM, Lewis Carroll, was excited about engaging customers about the cause and raising awareness about Children’s Miracle Network. Stop by your local Love’s Travel Stops between now and the end of September and support Children’s Miracle Network. All funds donated locally support Children’s Health.